In order to understand whether you’re entitled to benefits under workers’ compensation laws, you first should understand some basics about the purposes of workers’ compensation systems. Workers’ compensation begins with insurance. This insurance provides cash benefits and/or medical care for employees who are injured or become ill as a direct result of their job. Employers pay for workers’ comp insurance, and cannot mandate that employees contribute to the cost of compensation. The Workers’ Compensation Board is a state agency that processes the claims. If Board intervention is needed, the board will decide whether the insurer will reimburse for cash benefits and/or medical care, and the amounts payable. Different from other legal cases, in a workers’ compensation case, liability is not determined and irrelevant to the outcome of the case. The total compensation that a workers’ comp claimant is entitled is not decreased by his/her negligence or fault, nor is it increased by an employer’s carelessness. It’s important to keep in mind that an employee loses his/her right to workers’ compensation if the injury results solely from his or her intoxication from drugs or alcohol, or from the intent to injure him/herself or someone else. Workers’ compensation is a type of insurance that most employers are required to carry in the state of New York. The insurance is designed to help employees who are hurt, injured or become ill when on the job. Ideally, this insurance should help injured workers by covering their medical care related to the injury or illness, and by giving them enough of an income to cover their bills while they are unable to work. Basic workers’ compensation benefits should include payments that equal 2/3 of your weekly wages if you are unable to go back to work, as well as any medical care you need for your injuries. If you are still able to work, but at a reduced capacity, the payments will be lower to account for the wages you can still earn. Workers’ compensation may also pay for damages to your extremities – like your arms, legs or hands – even if you are still able to work. 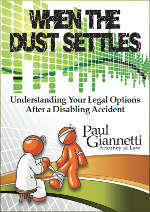 Why Would Workers’ Compensation Be Denied? In a perfect world, your employer and its insurer would pay you all the benefits required by law for your injuries. But too often, companies and insurers are motivated to reduce their costs any way they can, including denying your benefits or offering you benefits that do not meet your needs. Your employer may want to imply that the accident that caused your injuries was in some way your fault, in order to prevent its insurance premiums from increasing. The insurance company is always motivated by the bottom line, so it may use its army of lawyers and doctors to try and prove that you are not as hurt as you actually are. Between the employer and the insurance company, you may struggle to get the benefits you need to cover your medical care or your expenses. If you are hurt while working or become ill due to the work you do, your first step should be to seek medical care and have a doctor treat your injuries or illness. Seeing a doctor is important, not only because you need treatment, but because you need to establish evidence that you were hurt and that it was job related. Tell the doctor that you were hurt at work and make sure that he or she documents this. Your doctors records are an integral part of a successful claim. After you have seen your doctor, your next step is to contact an experienced workers’ compensation attorney to ensure you take the appropriate steps in the claim process. You can file your own workers’ compensation claim without an attorney, but even if you want to file on your own, you will still benefit from the advice of an attorney as you move forward. You will need to notify your employer in writing of your workplace injury within 30 days of when it occurred. The state of New York requires that you file for your claim no later than two years after the injury occurred. If you have been searching for an attorney to represent you, and your case involves little or no lost time from work, I can explain why it has been so difficult. In cases involving only unpaid medical bills the Workers’ Compensation Law requires you to find a lawyer who will work for free. That’s right, the Workers’ Compensation Law will not require an insurance carrier to pay the legal fees of an injured worker that is not missing time from work but has unpaid medical bills. In a normal case, a Workers’ Compensation attorney is paid an attorneys fee which is deducted from the injured workers’ lost wage payments. 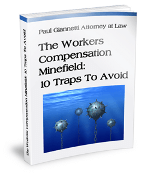 All fees are awarded by a Workers’ Compensation Law Judge. The problem arises when there are no lost wages claimed. In this circumstance, the Workers’ Compensation Law makes no provision whatsoever for attorneys to be paid by insurance carriers. Even more difficult to fathom, the Workers’ Compensation Law forbids an injured worker from paying an attorney, out of his or her pocket, for desired services namely having a claim established and medical bills paid for. This leads to the conclusion that the Workers’ Compensation Board really does not want injury victims to be represented by counsel. Hopefully, the Cuomo Administration will change this mindset and put the rights of injured workers before those of big business and big insurance. While it is impossible to take each and every “medical only” case since there is no hope of getting paid an attorney fee, our office attempts to help as many unrepresented claimants as possible. For New York State Workers’ Compensation claimants this piece of pending legislation would help those compensation claimants who have already been approved for Social Security Disability benefits. The pending bill would require the Workers’ Compensation Board to find that a worker who has been approved for Social Security Disability benefits is therefore totally disabled under Workers’ Compensation Law. Currently, many if not most, of the Social Security Disability recipients who also get Workers’ Compensation are receiving permanent partial disability benefits but not total disability payments. Adoption of this bill would guarantee a fair result to those compensation claimants whose injuries are severe enough to qualify them for Social Security Disability. It would also serve to drastically reduce the amount of unnecessary litigation before the Workers’ Compensation Board to address issues including labor market attachment and loss of wage earning capacity. Want Answers from a Real Lawyer? At our office, our top priority is returning phone calls and answering questions. If you have asked for legal advice, I will personally speak with you and take the time to necessary to answer your questions. If you need an office consultation, we are happy to schedule you, at no cost. When it comes to workers’ compensation claims, you can always benefit from sound legal advice and experienced representation. As your attorney, I can help you through the entire claims process, including the filing and any appeals that are necessary to get you your benefits. I can also help you determine if you are eligible for any additional benefits beyond workers’ compensation, such as unemployment benefits, Social Security disability or union benefits. If you have been hurt at work we can help. I can give you a free consultation, where we can determine what your next steps should be and how you can get all the benefits you are entitled to. Put my knowledge and experience to work for you.